A return to the theme of Subhas Chandra Bose is necessitated by the “discovery” of two books. Both are by Lt. Manwati Arya who was born in Burma and joined the INA’s women’s wing, the Rani Jhansi Regiment, in her early 20s. Patriot (2007) is a “personalised biography” of Netaji. It is flowery and exaggerated: Bose’s marriage to Emilie Schenkl is called “the divine wedlock”. Judgment: No Aircrash, No Death (2010) is a compendium of records and stories about Netaji’s widely reported death in Formosa in an aircrash. The burden of the book is that both the aircrash and the death were figments of Japan’s—and Netaji’s—imagination and that in fact Bose escaped to Russia, then made his way to India. (With Japan collapsing in the war, the British were planning to arrest Bose. Which would explain his eagerness to avoid landing in Japan). These are not books* in the modern idiom, with style and polish making for pleasurable reading. But they contain historically important material. Judgment, in particular, marshalls evidence to show that Bose lived as “Pardewala Baba” in Naimisharanya in Uttar Pradesh and as Gumnami Baba in Faizabad and Ayodhya until he died on September 16, 1985. Many of the details have appeared in newspapers and books. There have been several commissions of inquiry as well although it was known that Jawaharlal Nehru was ambivalent about Bose (some say hostile) and wanted the aircrash story to stick. According to the just-published India’s Biggest Cover-up by Anuj Dhar, British intelligence did not believe reports of Bose’s death, but Indian officials suppressed that part of Britain’s input. Judgment says papers received by Nehru indicated that Netaji flew from Saigon to Diren in Manchuria in August 1945 in a Japanese bomber, then drove in a waiting jeep towards Russian territory. There is also a letter purportedly written by Nehru to British Prime Minister Attlee saying that “Subhas Chandra Bose, your war criminal, has been allowed to enter Russian territory by Stalin... a clear treachery by the Russians”. According to this book, Gumnami Baba would talk at length to visitors from behind a curtain. He would refer to little-known roads and localities in Berlin, Tokyo, Kabul and Singapore. He would mention details about world leaders such as “Churchill could not pronounce the sound S”. Among papers catalogued after his death were photocopies of letters written and received by Netaji. 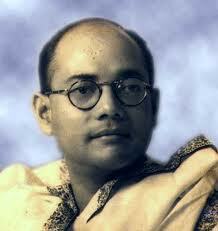 Photographs of Netaji’s parents were said to have been in the Baba’s rooms. It was said that Indira Gandhi and Rajiv Gandhi knew all about him and the District Administration in Faizabad took care to ensure the Baba’s privacy. The book reminds us that it was Hitler who suggested that Netaji travel from Germany to Asia in a submarine to avoid the risk of air travel. The Japanese naval command objected, saying civilians could not travel in a warship in wartime. The Germans said that Bose was “by no means a private person, but commander-in-chief of the Indian Liberation Army”. In a risky rendezvous off Madagascar, Bose was transferred to a Japanese sub. A passage quoted from Justice P B Chakraborty shows that in Attlee’s assessment, Mahatma Gandhi had “minimal” impact on British policies. The final decision to “leave India in a hurry” was due to the “activities of Subhas Bose which weakened the very foundations of the attachment of the Indian land and naval forces to the British Government” (Attlee, a guest at the Calcutta Raj Bhavan in 1956, mentioned this directly to Justice Chakraborty who was then the acting governor). The historical value of information pertaining to the life and death of Bose cannot be denied. Yet there is no definitive book on the subject. One reason is the government’s insistence that the papers in its possession are “top secret”. Civilised countries declassify the topmost secrets after a certain period of time. India’s policy of secrecy only leads to twisted histories. Even on the India-China war, we only have a biased Englishman’s version. This seems the logical answer. Bose and his INA could be linked with the mutiny. Gandhi could have fasted for ever. The Brtish would have happily provided him the place. But how did Gandhi become the "FOTN". Was it an act of Parliament? what a shameful tragedy for India... Power hungry and self-centred people relegating the most dynamic patriot to the dark dustbins of history... And no one can do anything about it. Netaji has been cheated by all of us who remain mute spectators to the immense injustice. He deserved to be the PM and shape the nation's future. Imagine what Saradr and Netaji together would have made us. Greed for power remained with Nehru and Patel. Gandhiji disliked Netaji and never liked his position of presidential status. The poor man had wild dreams like getting help from Japan to defeat the British. He suffered a lot for the country. Even now the congress do not regard him as an important freedom fighter. Even about his mysterious death there are so many stories. He was a self-less man, sure. t is becoming more and more true that Netaji did not die in any plane crash. It is the refusal of the government to declassify the old records which come in the way of knowing the truth. Pray, why NDA government who have no love lost for Nehru, did not declassify the old records? As regards India's China war, Mr. Inder Malhotra's articles which have been appearing in Indian Express, have thrown much light on the incompetence and cowardice shown by civil and military leadership in those days. Of course Malhotra has not blamed Nehru for any of the follies committed in those days.